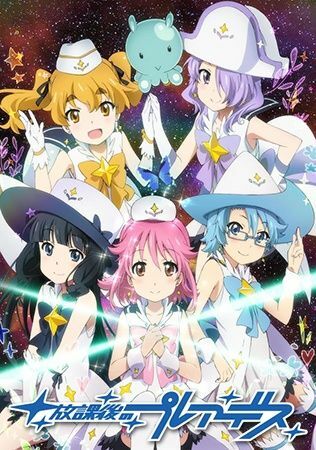 The sky is the limit in Houkago no Pleiades. With telescope in hand, Subaru is set to go to the observation room of her school in order to get a view of that night's meteor shower. What she least expects is that behind the observatory door was not the starry skies, but a lavish garden, complete with a resplendent fountain and a mysterious young boy with long red hair. But the garden soon disappeared, as if Subaru was only imagining things. All that remains of that brilliant sight is an odd, bouncing blob creature that leads her to another magical door, occupied by other girls in magical witch-like costumes. 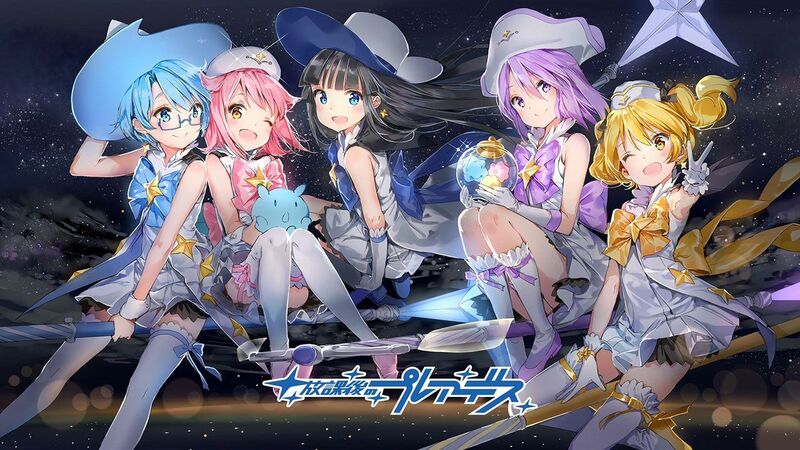 Revelations start hitting Subaru one after the other: one of the girls in the room is her childhood friend Aoi, the little blob is actually an alien of a species called the Pleiadians trying to return home, and Subaru has been selected by him to become the newest member of their group! Now Subaru's dreams of the stars have come true in the wildest way, as she and her friends attempt to gather pieces of the Pleiadian spacecraft engine to return the being to his home. But they're not the only ones after the engine parts, and they have no idea why!